Home » Guide » Car Insurance 101 » How Do Auto Insurance Deductibles Work? For those who are not familiar with the term auto insurance deductibles; deductibles refer to the amount of money you pay out of your wallet before your auto insurance coverage take into effect. Insurance companies require policy holders to pay a certain amount depending on their contract before the policy holder can take advantage of their insurance. By knowing the amount that you can comfortably pay when accidents happen, you will be able to determine the right car insurance for you. 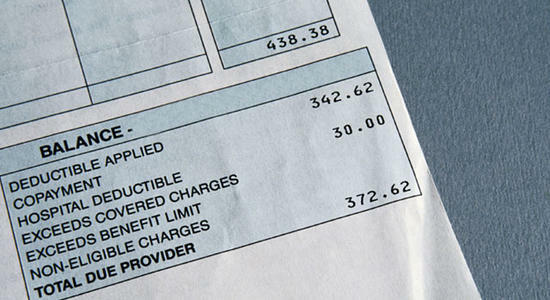 Paying lower deductibles mean you are paying a higher premium on a monthly basis. Now take note that your rate is determined by a number of factors such as state, age, gender and driving record. Of course, the better your driving background is, the more likely it is that you get a low monthly premium. Driving a car that has passed safety tests also adds to the factors of getting a lower monthly premium. Credit background also plays a role here. Also, living in a place where car theft often takes place would probably get you a higher monthly premium. On the other hand, paying a higher deductible means that your monthly premium is lower as compared to those who have auto insurance with a lower deductible. If you live in a state where you think car theft does not happen often and if you have a good driving record then it would probably be best for you to take advantage of auto insurance with higher deductibles, provided the option is available and you think you can manage it and you pass the requirements. It may seem advantageous but if for example your deductible is around $800 and your car experienced an accident or $400 worth of damage, then it is more sensible to just pay the repair amount yourself. It is still best to set aside money in case your car encounters an unpleasant situation regardless of whether you have a higher or lower deductible. Being intimately familiar with your coverage’s terms also helps.